Ignores Guards and may attack creatures in any lane. Blood Dragon is a legendary Strength creature card. It is part of the Core Set. 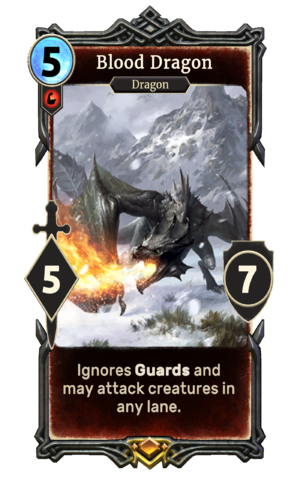 The card is named for Skyrim's Blood Dragon. This page was last modified on 11 December 2018, at 00:42.